If you’re still going strong on your New Year resolution to get healthy, allow us to give you a round of applause. It’s never an easy process to swap fatty foods for healthy foods. However, we’re here to tell you that not all of the foods you love have to go. Oysters, for instance, are amazing for your help. Not to mention that oysters are delicious! Check out these amazing health benefits that will make you rejoice for your oyster-eating ways. Oysters are rich in B-12 vitamins. Vitamin B-12 helps to give us energy and converts food into energy. It’s basically like taking an all natural energy shot. 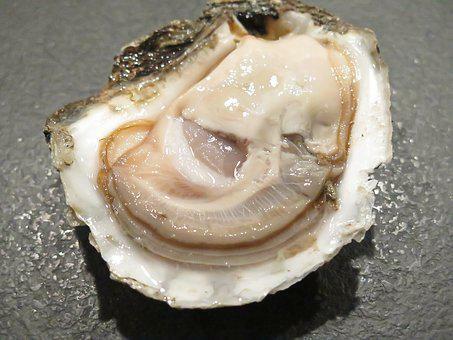 It’s estimated that about 8 medium sized oysters offer the body about 230% of our daily B-12 intake. Unfortunately, over half Americans are greatly lacking in vitamin B-12. These fresh mollusks are chock full of immune boosting vitamins. Vitamin C? Got it! Vitamin E? Yep! Iron? You better believe it! Fill up on oysters before cramming onto an airplane. You’ll feel better once you get off, plus you’ll greatly reduce the probability of getting sick. Oysters also contain anti-inflammatory and antioxidant properties to help ward off any unwanted bacteria. While oysters being an aphrodisiac hasn’t completely been proven or disproven, there is one thing that can be proven: zinc boosts sexual health. Zinc is the main mineral involved producing testosterone, thus boosting libido in both men and women. This mineral has been shown to improve sperm count in men and help with ovarian health in women. They’re Good For Your Peepers! Zinc is also amazing when it comes to eye health. There is a definite correlation between an increase in zinc and stronger eyes. Zinc creates stronger pigmentation in the eyes, which is shown to be linked to a reduction in the central field of vision. Oysters are AMAZING for bone health. The iron, copper, zinc, selenium, phosphorus and calcium found in these little mollusks combine for stronger bones. Don’t believe us? Think about the beauty and strength of Mother of Pearl, which is a byproduct of oysters. If an oyster can create that, what is stopping it from doing the same for bones? Thanks to the magnesium and potassium packed into these little suckers, blood vessels are more relaxed and blood pressure will lower. Oysters help to reduce plaque in the arteries, the vitamin E in them allows for a stronger cellular membrane, and the vitamin C fights off cardiovascular disease and helps to prevent heart attacks and strokes. This combination leads to overall optimal heart health. Oysters have been known to boost brain function as well. The omega-3s, B-12, zinc, and iron all work together to make the brain run like a finely tuned machine. Low iron and zinc levels contribute to a foggy memory and a lack of concentration. Not a good combination when it comes to studying and test taking. Load up on a dozen oysters before a task requiring major brain power to reap the benefits. It’s possible that oysters can help with problem skin. Zinc and collagen, both found in oysters, have been shown to boost the repair and regenerative qualities of skin. Collagen is also known to help make brittle nails and hair strong again. Give zinc another point because this mineral is on fire when it comes to helping the body. Humans can’t retain zinc, so it’s important that we eat a specified daily amount of zinc every day. Zinc is a mood stabilizer that helps with anxiety, depression, anger, and other negative moods and feelings. After reading all of this, why wouldn’t you want to feast on oysters? They’re delicious and nutritious! Check out Tommy’s six dollars per dozen oysters every Tuesday and Friday for a great deal on this healthy treat.